It’s that time of year. I’m going to be counting down my favorite shows of the year. It was a very strong year for television and that made it even harder to narrow down my choices. While the show wasn’t as strong as it was in the first two seasons, it was still a compelling drama and one of the best things on television this past year. Steve Buscemi had his strongest season as an actor. He has multiple tapes he could submit and be a contender for the Emmy next year. 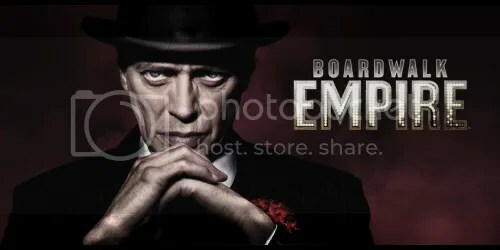 Nucky really grew as a character and I believed every moment thanks to Buscemi’s performance. “The Milkmaid’s Lot” was a particularly impressive episode for him. Jack Huston was also featured pretty prominently this season, and that helped the show for the better. Watching Richard fall in love and have someone accept him for who he is was powerful stuff. The show also knows how to build to an exciting and intense finale, and that was more true this season. The final two episodes of the season built to a great climax. I can’t wait to see what the show has in store for us next season. Most shows, especially comedies, entering their fourth seasons have usually played out their gags and reduced their characters to basic stereotypes. Modern Family has thankfully avoided that pitfall and is still consistently producing some of the funniest episodes on television. The third season particularly ended well. The living art gag in “Tableau Vivant” and the closing moments of “Baby on Board” were both hilarious and heartwarming. The show can pull off really sweet and vulnerable moments without forced sentimentality. It’s the perfect mix of writing and ensemble chemistry. Outside of what we saw on television, the cast went through some tough contract negotiations this year also. Thankfully it all worked out and it seems like they have their salaries planned out for at least 3 or 4 more seasons. If they can keep up this high quality, I will gladly welcome this show into my living room for years to come. I debated where to place the show on this list. After the first half of the season, I probably would’ve had this in the Top 3. The opening of the season was absolutely perfect. The show really dealt with the consequences of the first season finale in a way that made sense to the viewers, while also moving the plot along at a brisk pace. What happened in the first 5 episodes of the season could’ve been an entire season worth of material for any other show. “Q&A” was one of the finest hours of television I’ve seen. 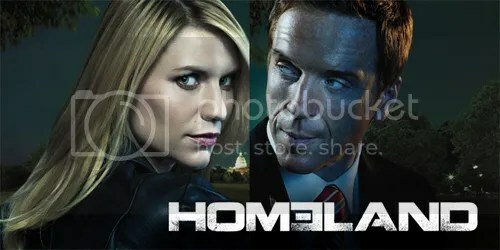 Claire Danes & Damian Lewis should have no problem repeating their Emmy wins last year with that episode. Mandy Patinkin also had a standout season and has two episodes, at least, that could see him walking away with Emmy #2 next year. The show kind of fell apart, slightly, in the second half of the season. The plotline with Dana and the car accident and some of the stuff with Abu Nazir didn’t make much sense and brought the overall quality of the show down. The show redeemed itself at the end and had a very satisfying season finale. Despite any problems I may have had, the show was still an intense thrill ride and can’t-miss television each week. One of the reasons the Emmys don’t make sense sometimes (or most of the time): the show received two writing Emmy nominations this year but failed to get a Comedy Series nomination. 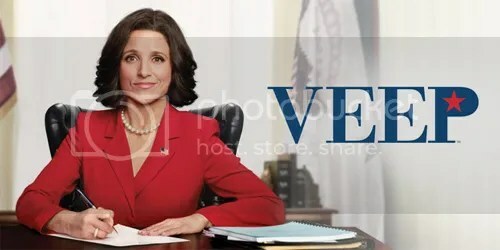 It was a travesty because the fourth season, especially the end of the election arc, was some of the best television this year. Amy Poehler has never been better as Leslie Knope, and she even wrote and directed one of the best episodes of the show “The Debate”. The show also developed her relationship with Adam Scott. It’s one of the sweetest love stories on television, thanks to the undeniable chemistry between Poehler & Scott. And don’t forget the rest of the ensemble. All of them have found their characters and play them effortlessly. The beginning of the fourth season in the fall hasn’t been the show’s best, but even at its weakest it’s still stronger than most comedies on television. I’m cheating and calling a tie on this show. I was originally going to just include Colbert here, but looking through some things I was also reminded how great The Daily Show also was this year and was involved in a lot of the great moments of Colbert also. 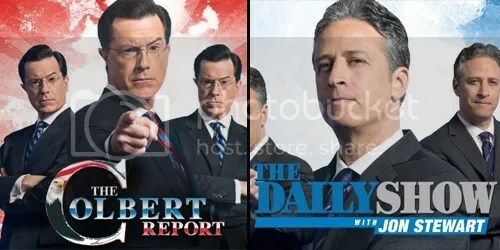 The entire “storyline” of Stephen Colbert having a SuperPAC and using it to influence the Republican primaries and for a possible run himself was absolutely brilliant. It was hilarious, but it was also scary because he exposed just how ridiculous SuperPACs are and how the current campaign finance reform is a travesty. Colbert also had some other outstanding moments, including an at-home interview with Maurice Sendak a few months before his death. It was a wonderful interview itself, but knowing that it was his last makes it even more special. The Daily Show is still consistently creating can’t-miss television every night, Monday-Thursday. The election coverage was strong this year and Stewart still does some of the best interviews in the business: he has a good mix of actors, authors and political figures. One of his stand out moments this year was the October 24th episode where he dedicated it to talking about veterans from the recent wars in Iraq and Afghanistan having trouble finding jobs when they return home. He’s funny but he also has a heart. Both shows earned this spot this year. I don’t get the criticism that the show fell in quality this season. That’s not true in the slightest. The show hasn’t slipped up once in its five-season run. The show has new ways of slightly reinventing itself to keep from getting stale but not having to dump everything to start over again. The big change this season was the expanded role of Jessica Pare as Don’s wife. She didn’t make a huge impression in the fourth season, but this season she absolutely did. She was helped by the electricity of the “Zou Bisou Bisou” performance from the premiere. From that moment on, Megan was going to be a force to be reckoned with on this show. Christina Hendricks also had her best season this year. Joan went through some tough things this season and we believed she would get through them thanks to Hendricks’ performance. The season finale set-up the show for a new change of office in the upcoming season. Joan showed the other partners the new digs in one of the most memorable and picturesque moments in television history. 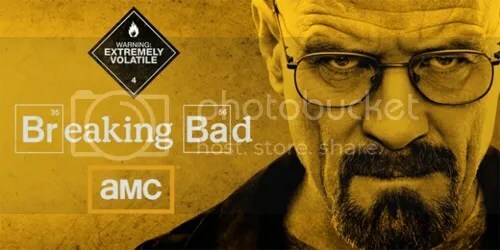 It’s hard to believe that this show is already halfway through its final season. I was worried that the show was going to be truncated or overstuffed because of the shortened episode order (8 this summer, 8 next summer). But those fears were not justified because it was still the most exciting and intense drama on television this past year. The train heist sequence from “Dead Freight” is one of the most tense and nerve-wracking scenes in television history. While we’ve known for a couple of seasons that Bryan Cranston and Aaron Paul are incredible (they both have multiple Emmys now), it was also nice to reminded of the amazing talents of Jonathan Banks & Anna Gunn. Banks was really the star of the season. Mike was really developed as a character this season and Banks was a pleasure to watch every step of the way. 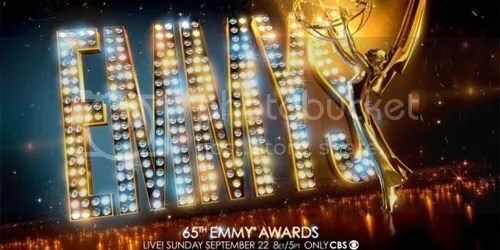 Gunn also had an incredible performance in “Fifty-One” and will be a huge threat to win an Emmy next September. The finale also set-up a huge surprise moment that is obviously going to be a huge catalyst for the events of the final 8 episodes. It will be sad to say goodbye to the show, but I can’t wait to watch those episodes next summer. This show is incredible for many reasons. It’s hilarious, it’s vulnerable, it’s cringeworthy, it’s heartwarming, etc. But Louis C.K. writes and directs every episode and that’s impressive itself. He has such control of this show and it doesn’t seem self-indulgent at all. One of the reasons this season was successful overall was because it took a bit of departure from the stand-alone nature of the first two seasons. C.K. has said that there really isn’t any continuity within the show and you should take each episode and segment as a separate entity. But he didn’t follow that rule this year and the show benefited because of it. 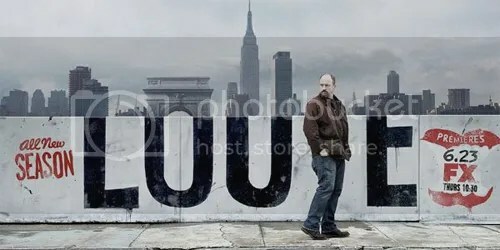 The “Daddy’s Girlfriend” & “Late Show” arcs were absolutely perfect and allowed the character of Louie to grow as well as the show itself. I hope C.K. takes this into account for future seasons. He can still do stand-alones but he shouldn’t completely ignore multiple episode arcs. The show also relied on guest stars this season. While that usually can go wrong very quickly, the guest stars were used wisely and supplemented the show instead of diverting it. Melissa Leo, Parker Posey, Chloe Sevigny, David Lynch, Jerry Seinfeld, Amy Poehler and Garry Marshall all had memorable guest spots. And we did get some bads from Louis C.K. this year: he needs some extra time to put the next season together so it won’t be returning until Spring 2014. I don’t think I can wait. It’s hard to know where I should begin talking about this show. I can’t even begin to talk about how much I relate to Lena Dunham’s Hannah. She’s been called the voice of “a” generation and that couldn’t be more true, especially for myself. The way she views the world and her awkward encounters are like pages right out of my life. But that’s not the only reason why the show ended up in the top spot this year. 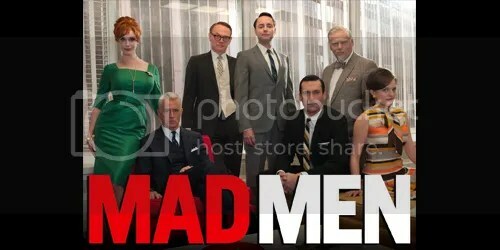 The show has a confidence about itself from the opening scene of the pilot that most first season shows take a full year to complete. Lena Dunham knew exactly what this show was going to be from that first episode and it was well crafted to a 10-episode season. Dunham had a clear vision and she executed it perfectly. The rest of the characters were perfectly casted too. Adam Driver seems to be the next big thing in Hollywood. He had a small part in Lincoln and has some more interesting stuff coming up. I can’t help but to think it’s because of his heart-warming but complicated portrayal of Hannah’s on-and-off again boyfriend. I also haven’t been obsessed with a show like this in a while. I’ve seen episodes multiple times, wrote down my favorite quotes and scenes, screencapped shots for my Facebook banner. I’ve been dying for a show like this for a while and it arrived in a nice package from Lena Dunham. 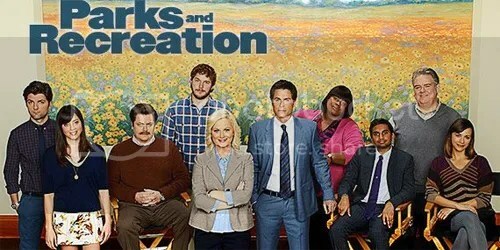 I can hardly wait for the second season to start on January 13. That’s the Top 10 for this year. What do your lists look like? Having any disagreements with my list? Let me know in the Comments or Contact section. 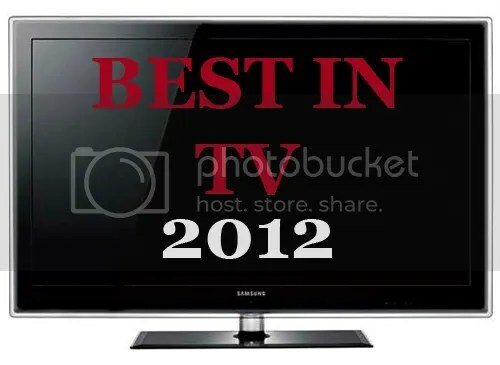 I’d love to know what you thought of the year in television. Coming up: I decided to switch things up a little bit. I’m still going to post a list of my Top 100 episodes of the year. But I wasn’t even going to do a write-up for every one of those episodes. So instead I’m going to do a series of posts where I talk about my favorite television moments of the year. I’m not sure exactly how many there are going to be, but my preliminary list has a lot of bullet points so it might be about 50. Who knows. I’m excited to share it with you though. Stayed tuned!